Smart businesses market themselves, sharing who they are and what they have to offer. But the most successful businesses harness the internet to share their stories to a targeted audience at blinding speeds. Trying to reach potential customers can be daunting for most small businesses. The tools have becoming increasingly complex and the world wide web has become saturated with noise. But that’s where eMaximize comes in; we are a team of digital experts who understand the importance of a strong online presence. We make sure that businesses don’t have to go it alone on their journey to be noticed, and we ourselves have been noticed for these efforts. It is with great excitement we share that we have been named an industry leader among the top digital marketing agencies in Los Angeles in its Top California Service Providers report. This title was given to us by Clutch, a B2B services platform that identifies top service providers in several markets to help businesses make smarter buying and hiring decisions. 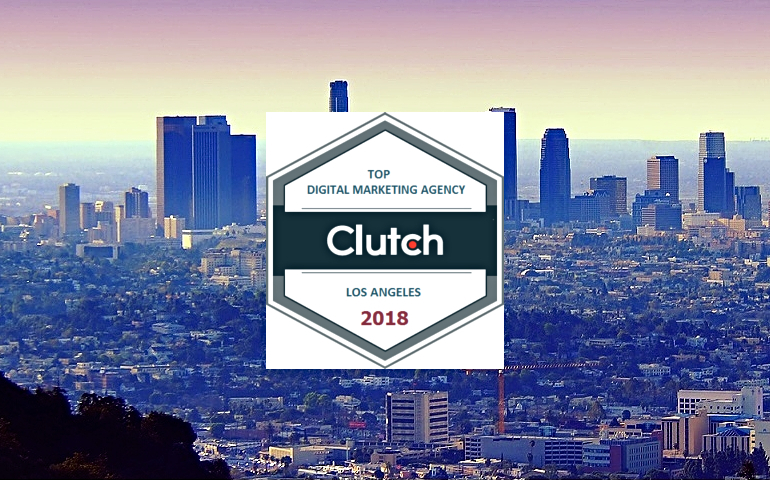 After conducting client interviews and market research, Clutch ranked eMaximize 7th overall among the top digital marketing agencies in LA, outranking more than 750 agencies! In addition to our recognition as a digital marketing agency, we have been recognized for our SEO services. The Manifest, Clutch’s sister-site featured us as one of the top SEO services companies in LA. The Manifest is a resource that provides insights to businesses to help them recognize, understand, and solve their challenges. Check out our profile on Clutch to read the full review and what else our clients are saying about us. Our clients are our priority, and to know that they value our services is priceless.